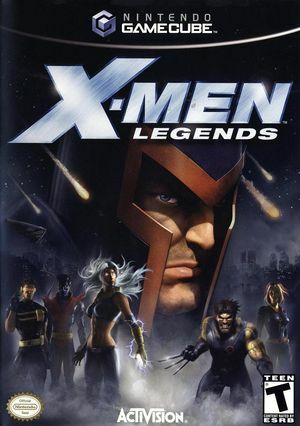 X-Men Legends is an action role-playing game released on several consoles in 2004. Players can play as one of 15 X-Men characters, switching between four computer (or human) controlled characters within one team. The basic plot revolves around the X-Men battling Magneto and the Brotherhood of Mutants. Intro videos will stutter with default settings. Setting Texture Cache Accuracy to Medium or Safe resolves the issue. In post version 5.0 build(s) of Dolphin the game leads to a GameCube error screen after only 8-9 minutes. Apparently resolved prior to 5.0-6092. The graph below charts the compatibility with X-Men Legends since Dolphin's 2.0 release, listing revisions only where a compatibility change occurred. This page was last edited on 1 March 2018, at 08:39.